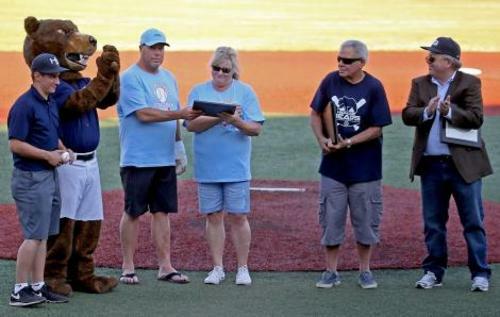 Festivities abounded the night the Highline Bears beat the Northwest Honkers, 4-1, in their season finale Friday, including the induction of four White Center personalities into the team’s new Hall of Fame. The team inducted White Center’s Todd Coughlin — the team’s first manager — and Russ Pritchard — the Bears’ first president, along with the inductions of the late Mel Olson and Steve Cox who their home field is named after. The event took place at Mel Olson Stadium at Steve Cox Memorial Park in White Center. Pritchard helped fight the fire that burned the old stadium down in 1970 and has been involved in the community’s sports for years, as were Olson and Cox. Olson’s daughter was present to accept his award, and Pritchard accepted for Cox and is going to take the plaque to the police department where Cox served. Coughlin led the team to an 18-14 record the first season and stepped down this year to serve where needed as Rich Lindros took over the helm. “I got to be more of a fan this year,” Coughlin said. 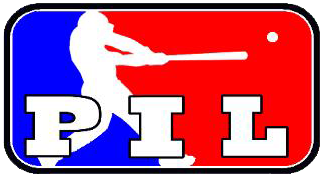 The team scored all four of its runs Friday in the second inning against a second place Pacific International League Honkers team that goes on to the semiprofessional World Series along with the first place Seattle Studs. Angel Valencia singled to spark the rally and Damon Nester reached on a catcher’s interference call before Isaiah Terry singled home Valencia and moved Nester to third. Terry wound up at second on the throw, then first baseman Drew Lorea doubled way down the right-field line to bring in both runners. “It was a fastball,” said Lorea, who also singled in the game, of the pitch he hit for a double. Lorea hails from Moses Lake and Columbia Basin College and is going to go to Corban University in Salem, Ore.
“They said they needed an extra first baseman so I should try out here,” he said. “It was a fun summer. The coaches and kids were great.” Ben Fitzhugh went on to single home Lorea for the fourth and final Bears run. Dustin Wilson, meanwhile, threw seven and one third innings for the Bears and allowed only one run on six mostly scattered hits, striking out four. “I was just focused on throwing first pitch strikes and let my defense work behind me,” said Wilson, who induced 11 ground ball outs. Wilson is from Rochester, Wash. and is going to go to Eastern Illinois University on a scholarship, but his mother grew up in West Seattle. “I spent a lot of time in this area growing up,” Wilson said. Ryan Kolisch wrapped up the win on the mound, allowing only one hit the rest of the way. The Bears will return to action next May.